Stuttgart - Self confidence was the buzz word amongst the VfB Stuttgart players following their fifth consecutive defeat, while FC Augsburg had nothing but praise for an outstanding team performance in the 4-1 win on the road. Sven Ulreich: "In our current situation we’ve got to keep things simple, given the ball away as rarely as possible and not let ourselves get caught on the counter. Only once we’ve built up our self confidence can we attempt to pull off the complicated bits and bobs. We weren’t compact enough when we conceded. We got to be more consistent on the ball." Rani Khedira: "We’re hurting right now. We need to put in a cohesive team performance and need to play the way that we know we’re capable of playing. Right now we’re in desperate need of some self-confidence." Mohammed Abdellaoue: "We gave everything we had to score the first goal. From the way we were set up that was definitely the right plan of action. Despite this difficult situation we’ve got to remain fully focused on our next game against 1899 Hoffenheim." 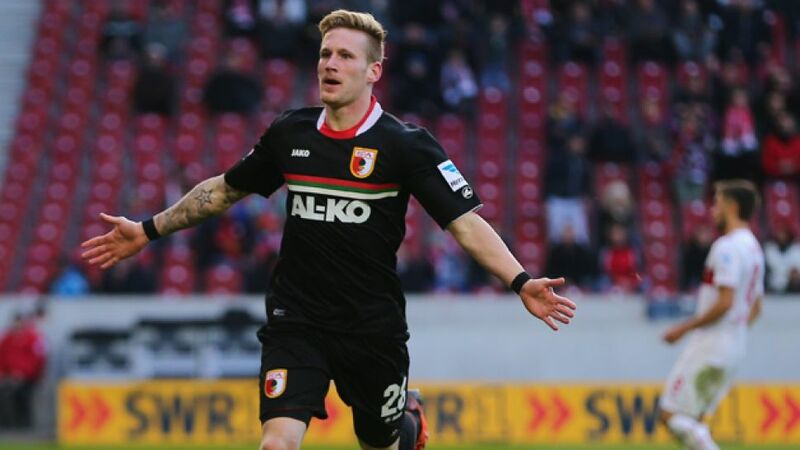 Andre Hahn: "We're remaining realistic. It's nice to see us so high up the standings, but our priority is survival. It's great to win by such a large margin in Stuttgart, even if we were fortunate to have an extra man. We played fantastically and though we struggled at the start we're delighted it worked in our favour." Tobias Werner: "We're delighted with the win. We had a few difficulties at the start but our opening goal gave us confidence. I'm proud of the team and of our fans, who gave us amazing support." Jan-Ingwer Callsen-Bracker : "We're on a really good run at the moment and it's fun to play football. Our results have given us self-confidence which we now take into every game. Despite struggling a bit at the beginning, we scored four really good goals."